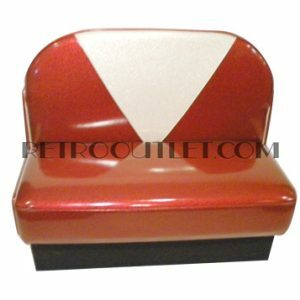 Looking for perfect retro diner booths for your home or restaurant? 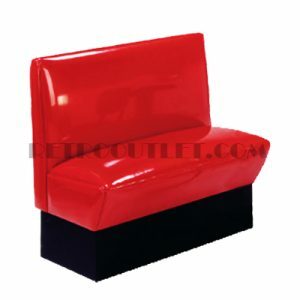 Our wide selection of diner booths and upholstery choices are available at the best prices you will find on the web. 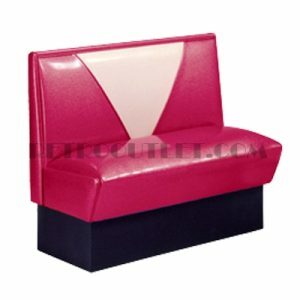 Styled after the original diner booth styles from the 50’s, our booths are designed and made in the USA, and built to last. Available in a selection of retro styles, with your choice of standard or premium and designer vinyls, our retro diner booths will provide a lifetime of beauty and comfort. Standard sizes that will accommodate 2 , 4, or 6 people, not to mention custom sizes (call for pricing) that will fit perfectly into your defined, or limited space! 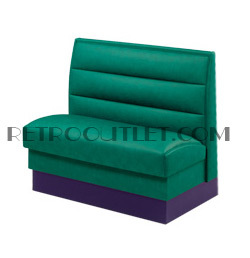 When purchasing from retrooutlet.com, you can be sure that you will “get the best” at the “best price”! Made in the USA – built to last! Please allow 4-5 weeks for production of your furniture that will be manufactured in your choice of materials.